The Freemasons at Wiswell has demonstrated once more it’s truly a force to be reckoned with, taking third place at this year’s Estrella Damm Top 50 Gastropubs Awards, with Chef Owner Steve Smith also taking home Gastropub Chef of the Year. The event proved to be a stellar night for Lancashire, with five pubs finishing in the top 50, with The Freemasons leading the way, as the highest-ranked pub in the North. The awards kick off what promises to be a game changer of a year for The Freemasons, with its kitchen extension, Mr Smith’s Table and four bedrooms due to launch this spring, with more bedrooms to follow later in the year. With this new investment, the pub, which has firmly established itself as the No.1 pub in both Lancashire and the North West has ambitions to become the No.1 pub in the country for both its dining and its accommodation offering. 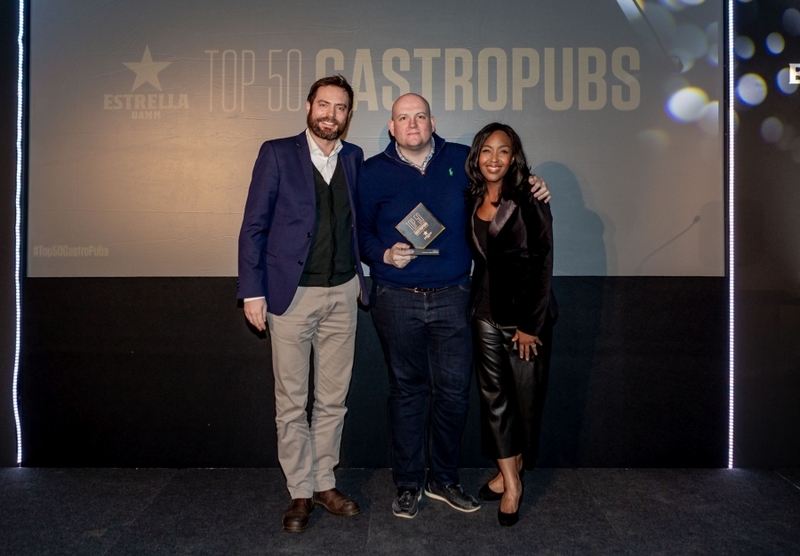 The “Estrella Damm” Top 50 Gastropub Awards, celebrating its 10th anniversary this year, are voted for by top foodies and hospitality experts. These include gastropub operators (who can’t vote for their own pubs), food writers, pubco catering development managers and executive chefs, celebrity and top hospitality industry chefs, pub guide editors, industry chiefs and food operators. The voting criteria ensures the list really is decided by the industry. Tom Kerridge’s Coach at Marlow took second place, with The Freemasons in third. Publican’s Morning Advertiser food editor Nicholas Robinson, said: “There’s something phenomenal happening in gastropubs up and down the country, they are growing and maintaining that growth where chains and other restaurants are failing.